In a bowl, whisk together the flour and salt. Set aside. In another large bowl, or bowl of your electric mixer, beat butter and powdered sugar until creamy. Add yolks and extracts and beat until combined. Slowly add in flour until dough is formed. Take out half of the dough and wrap in plastic wrap and stick in the refrigerator. Add several drops of red food coloring to the remaining dough and mix until you achieve the desired color. Wrap that dough in plastic wrap and stick in the refrigerator for 1 hour. Preheat oven to 375 degrees fahrenheit. 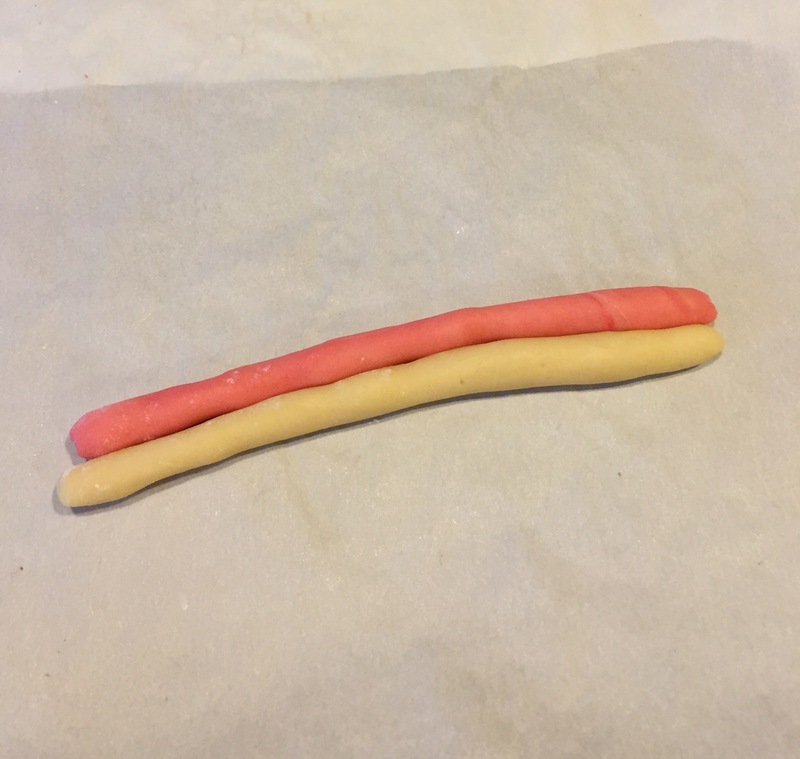 On a piece of parchment paper with flour, separately roll a quarter size of each color into a 4-5 inch rope. Gently press together and pinch the top and bottom. 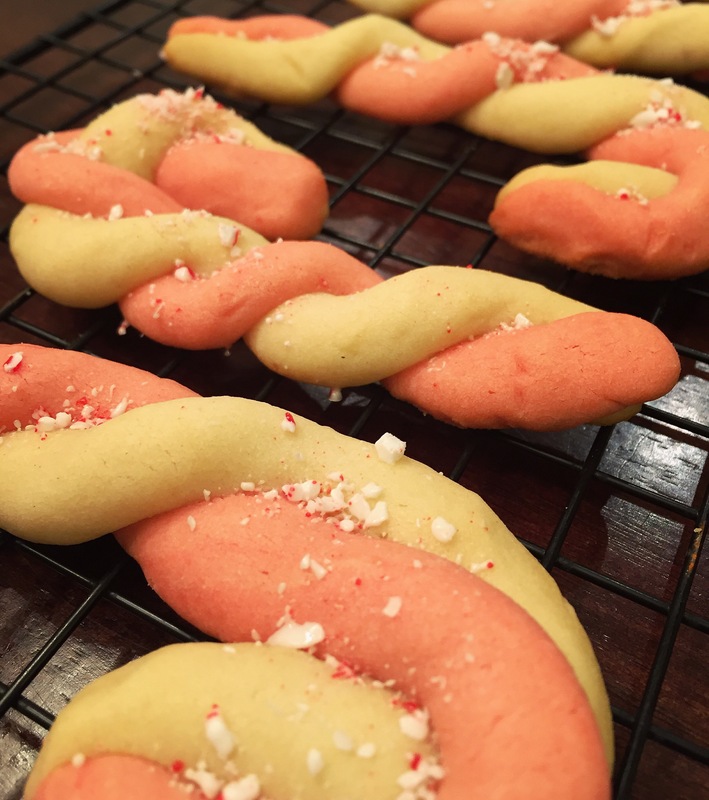 Twist together and place on your prepared cookie sheet. 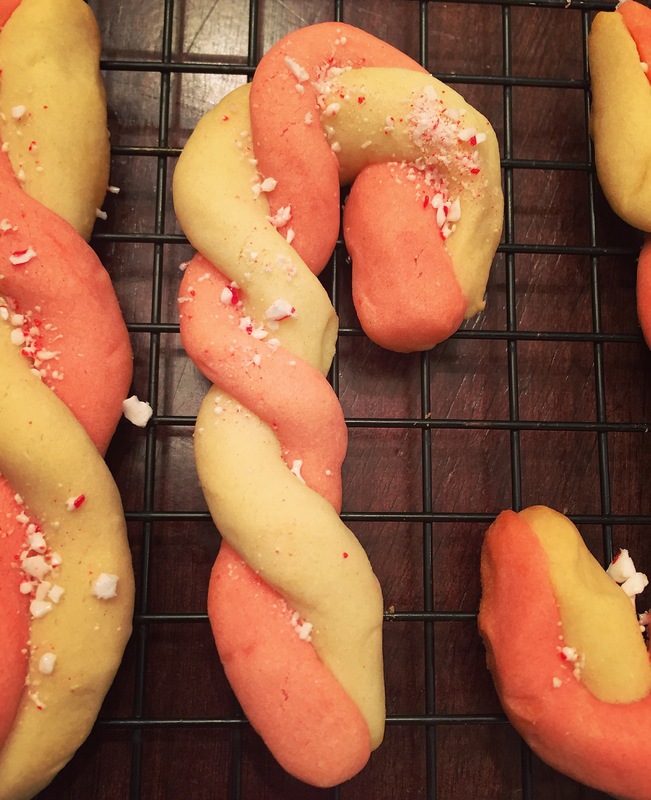 Bend the tops to resemble a candy cane. Continue until you use all the dough. If the dough seems soft, stick the cookie sheet in the refrigerator for 10 minutes before baking. Bake for 8-10 minutes. 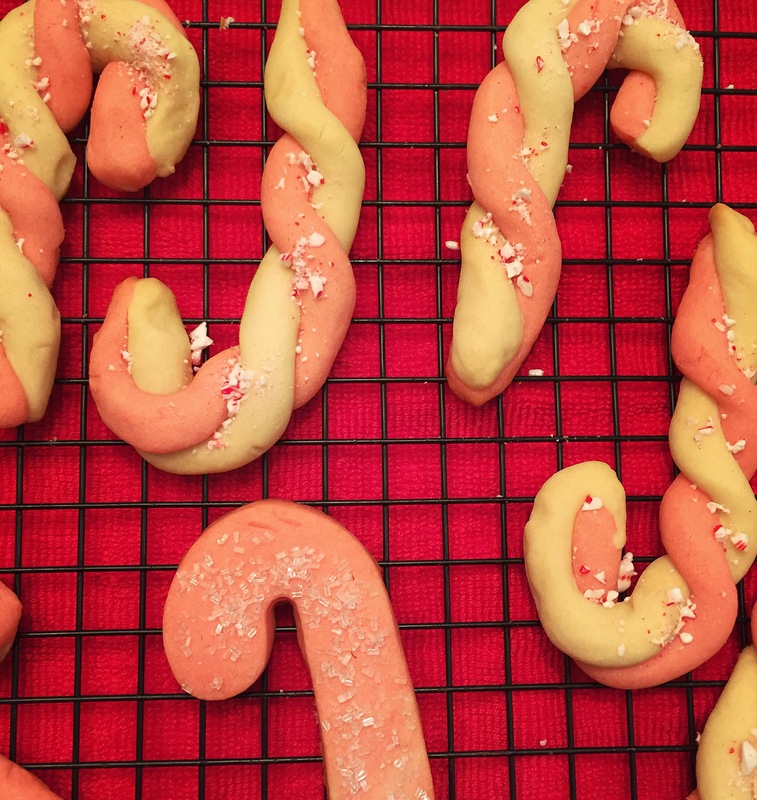 As soon as they are out of the oven, sprinkle with crushed candy cane. Let the cookies rest on the cookie sheet for 2 minutes before transferring to a wire rack to cool completely. Enjoy!